Want to help test? Answer a question! 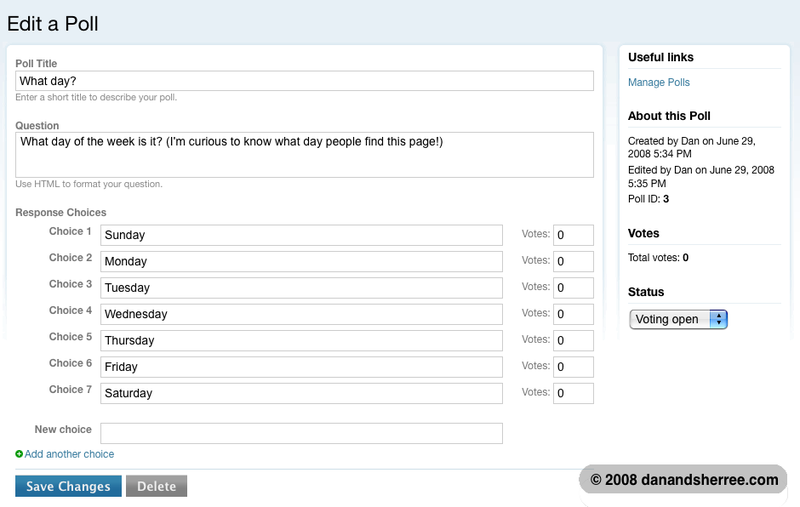 I've created three polls to test with, and your participation helps me see that it's working correctly. Problems? Please leave a comment. Summer picnic and party-time is here. What's your favorite? These surveys are obviously dealing with very serious material. Please, answer honestly. 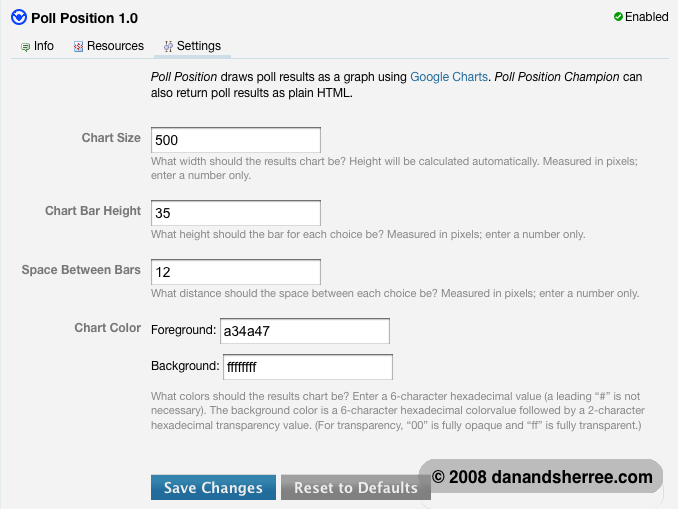 Getting Poll Position working on danandsherree.com is a good test for me to see how thorough I was in ensuring the plugin would work easily, and correctly. I hope this has whet your appetite a bit!